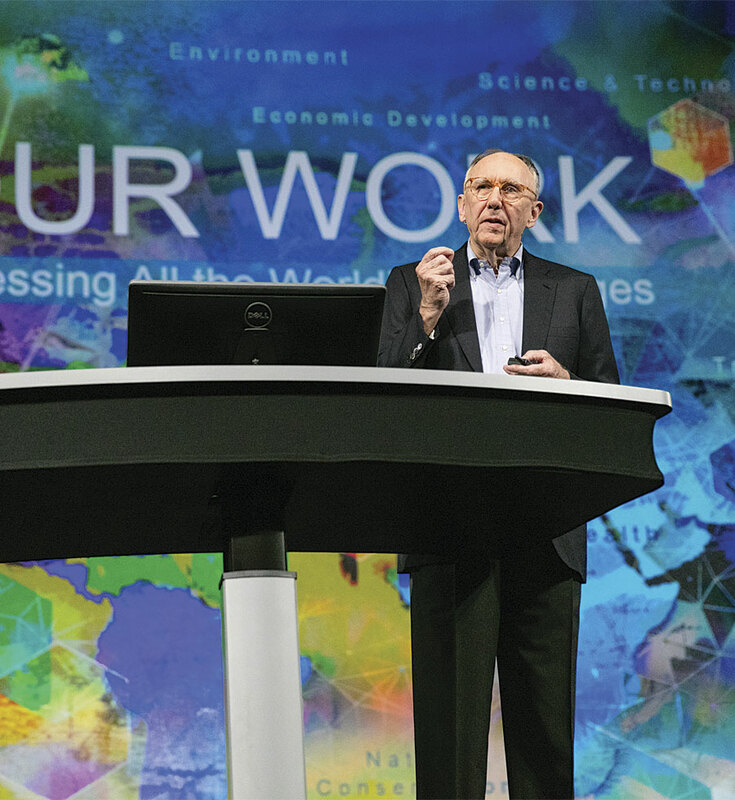 "GIS—your profession, your technology—provides the framework and the process for creating…a smarter world," asserted Esri president Jack Dangermond. Throughout the Plenary Session, Dangermond welcomed speakers from organizations that were using GIS to integrate data, create information, and make better decisions. The City of New Orleans, Louisiana, is using GIS to make smarter decisions about where to build. By bringing together information about the community in a map that uses soil permeability, wetlands, and historical flood zones, policy makers can see areas where the ground is highly absorbent and likely not ideal for development. “Using this map, we can think in completely different ways about how we build our environment and our neighborhoods,” said Lamar Gardere, the city’s chief information officer. Bryan Adams and Shannon Peterson demonstrated how Guy Carpenter, one of the world's largest reinsurance brokers, manages claims and assesses risk using GIS. Gardere also exhibited the city’s BlightStatus crowdsourcing web app, which not only educates residents about the blight remediation process but also enlists their help. 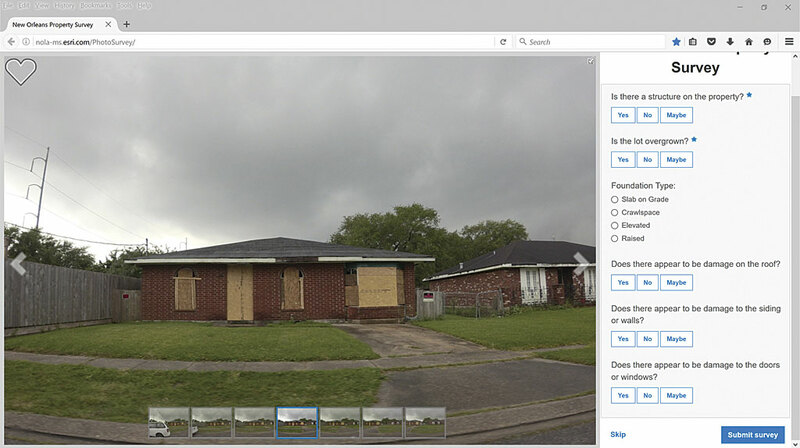 The city collected street-level photos of every parcel in New Orleans and created an app that lets anyone online evaluate these properties for blight based on what they see in these photos by filling out a six-question survey. Having a baseline on blight before hurricane season helps New Orleans tremendously with recovery efforts. “Running frequent surveys will give us a reliable layer of vacant lots and foundation type, giving us a sense of our housing resiliency,” said Gregory Hymel, the GIS director for the City of New Orleans. Using GIS, Guy Carpenter, one of the world’s largest reinsurance brokers, helps its customers—insurance companies—intelligently manage claims and assess risk. Guy Carpenter used ArcGIS to visualize which neighborhoods were impacted by a massive wildfire in Fort McMurray, Alberta, Canada, earlier this year that destroyed 2,400 homes and buildings and forced more than 80,000 people to evacuate. By pinpointing individual homes destroyed by the fire, Guy Carpenter could enable insurance companies to estimate losses, prepare for expected claims, and put the resources in place to assist policyholders. The City of New Orleans is engaging citizens through BlightStatus, City of New Orleans, an app that lets them crowdsource a survey of damaged houses. “It’s a series of methods and a series of tools that you [can use to] craft your own plans,” said Dangermond. 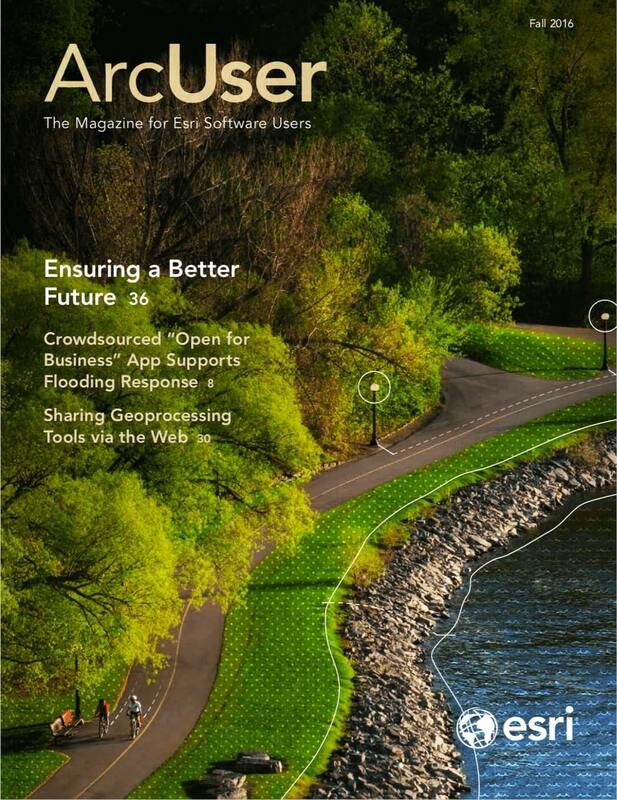 Since each community’s plan would be unique and would require citizen engagement, Esri is providing the datasets and other resources for people to use at local, regional, and urban scales. Green infrastructure mapping will show where the most valuable landscapes are before development occurs to preserve rivers, tributaries, critical habitat, wetlands, flat plains, and prime agricultural land and how they connect developed areas. Decision-makers can then identify how proposed new projects and urban growth will potentially impact existing natural resources. With GIS continually getting smarter, humans today are aware of things they couldn’t have known before—things about the built environment, about nature, about the planet. That engenders a different kind of understanding about the world—and that is just what Richard Saul Wurman, founder of TED Talks, wanted the audience to contemplate at the end of the Plenary Session. Because, just as GIS cultivates new understanding, so do different ways of understanding create a better, smarter world.